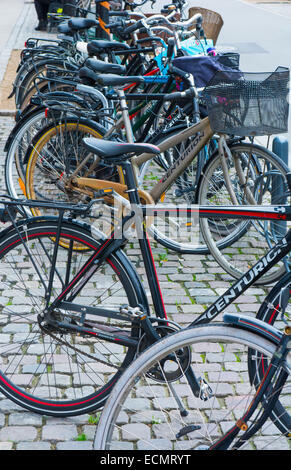 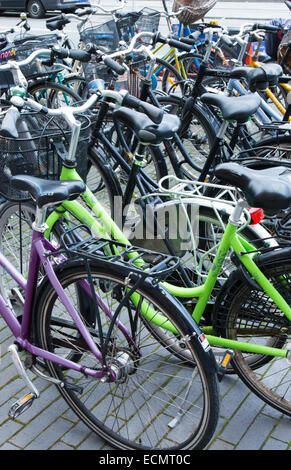 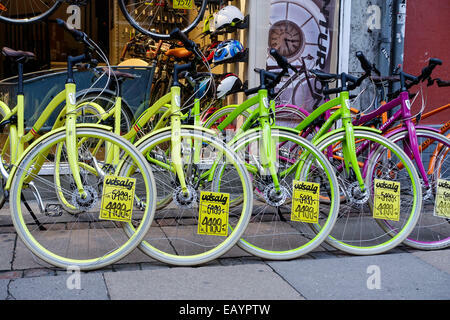 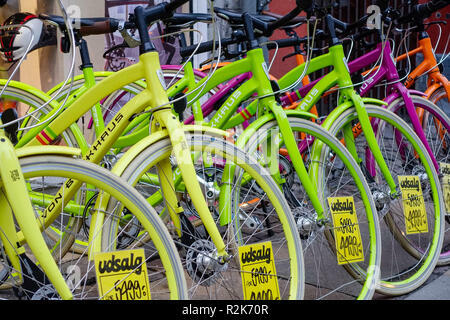 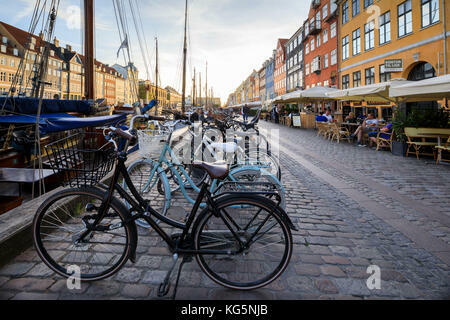 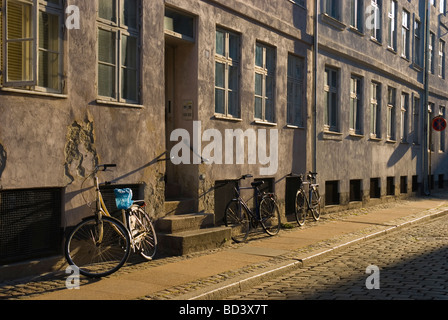 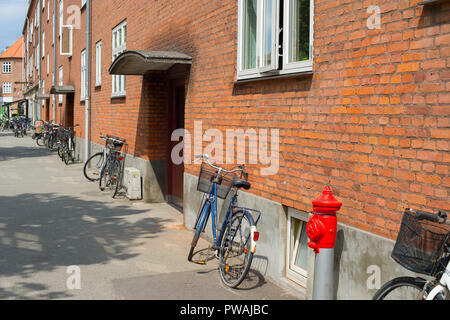 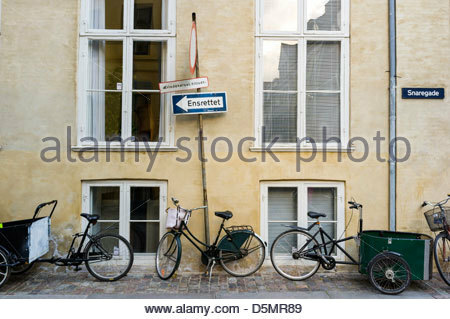 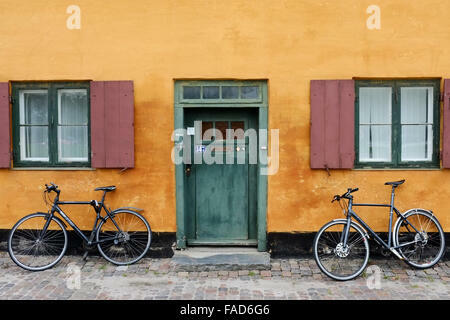 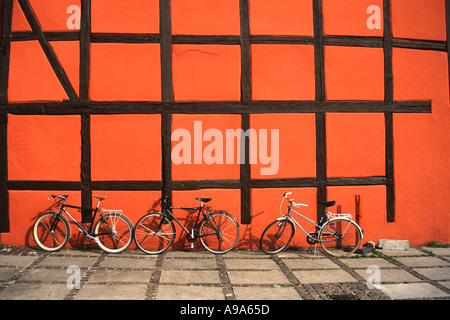 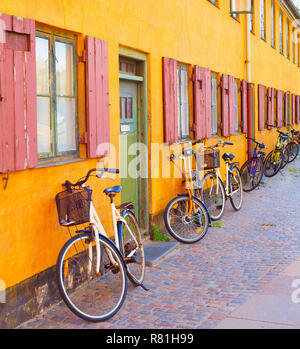 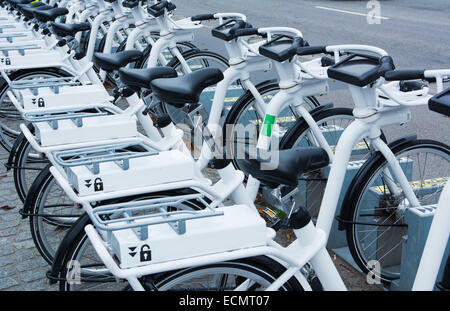 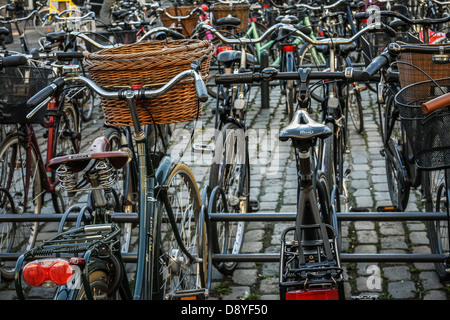 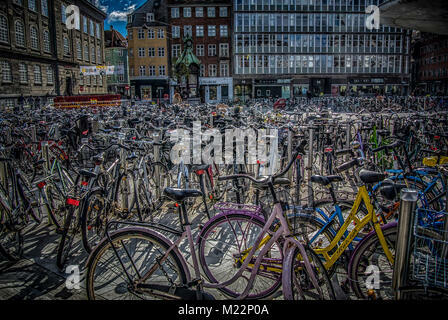 Row of bicycles parked in Copenhagen, Denmark. 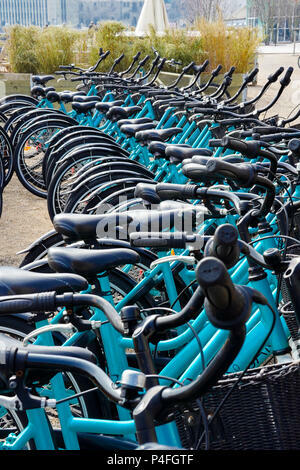 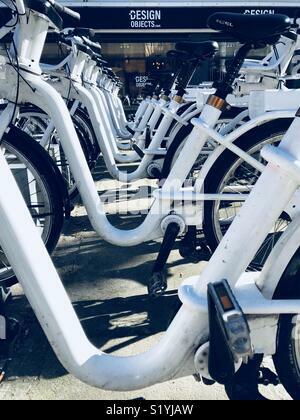 City Bike bicycle hire docking station. 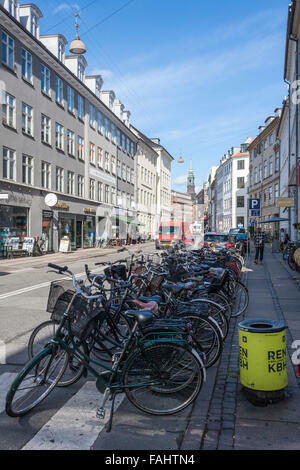 Copenhagen, Denmark, Europe. 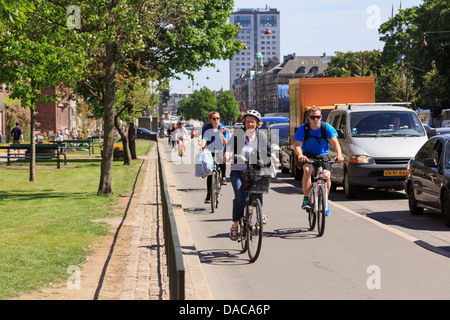 The Green 8 km bicycle route 51 from Nørrebro to Frederiksberg in Copenhagen meets the C99 bicycle superhighway in Frederiksberg. 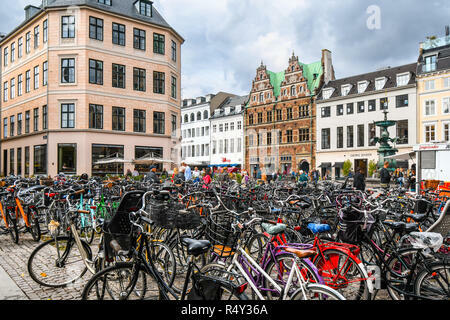 Copenhagen, Denmark. 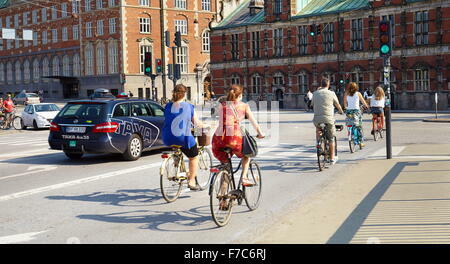 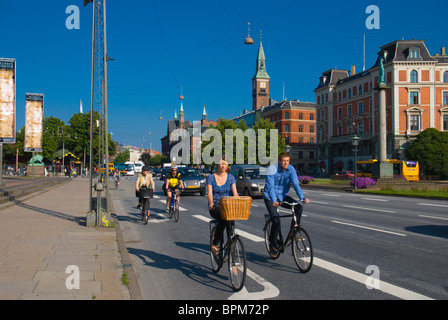 Bicycle stands and pedestrians walking near the Royal Danish Theatre in Copenhagen, Denmark. 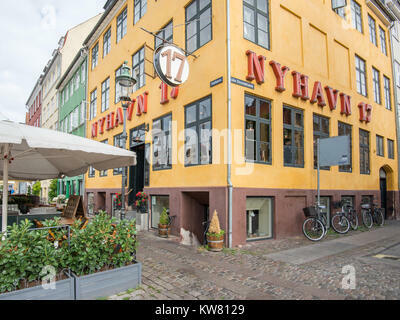 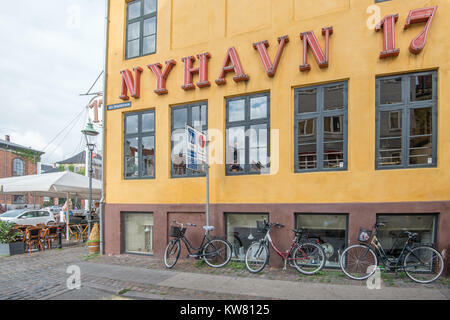 Restaurant at Nyhavn, a 17th century harbor district in the center of Copenhagen and currently a popular waterfront tourist attraction. 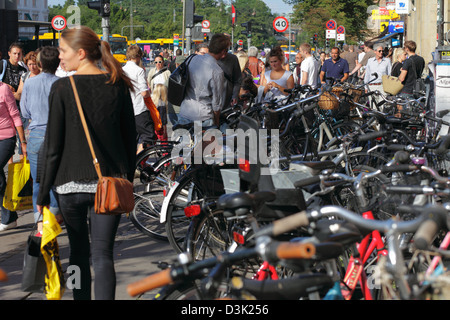 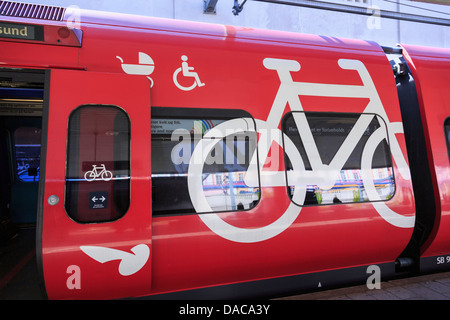 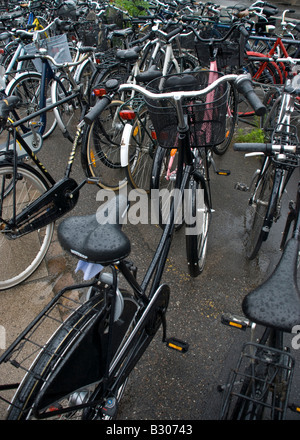 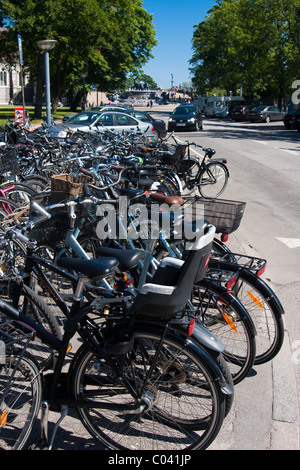 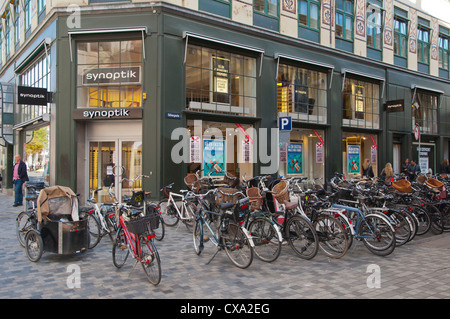 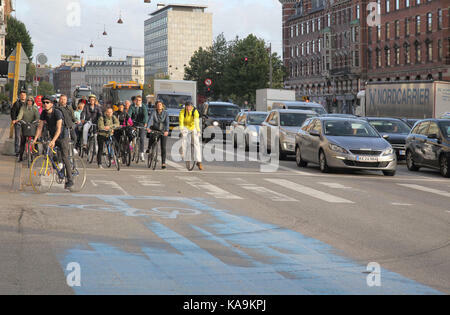 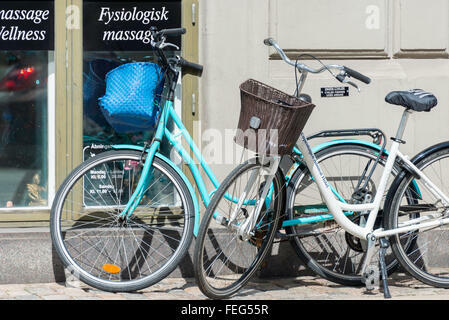 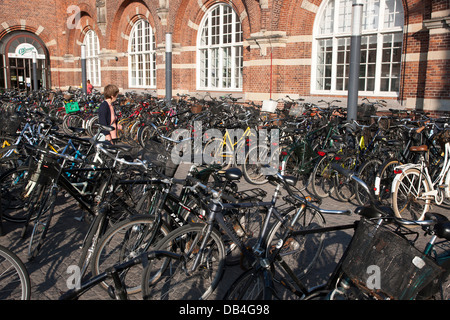 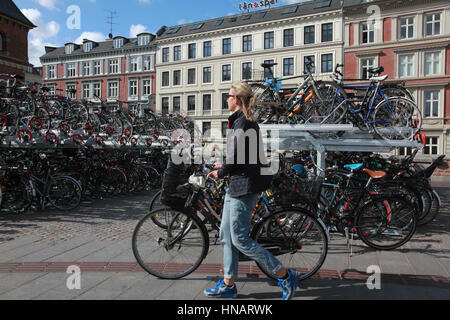 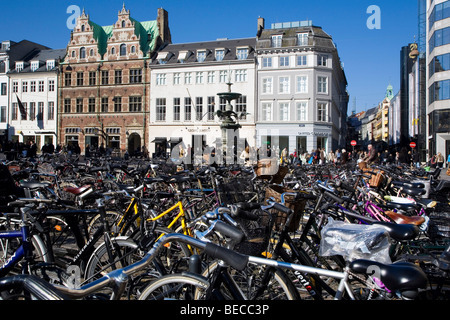 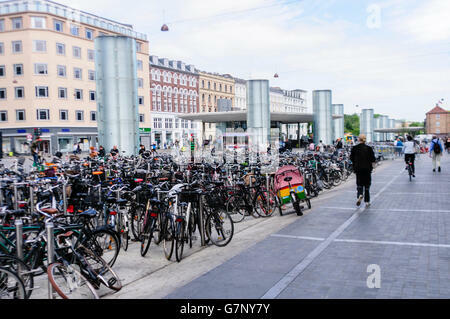 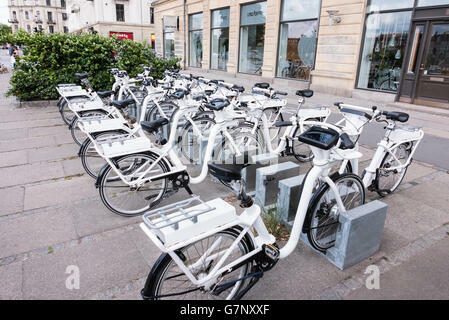 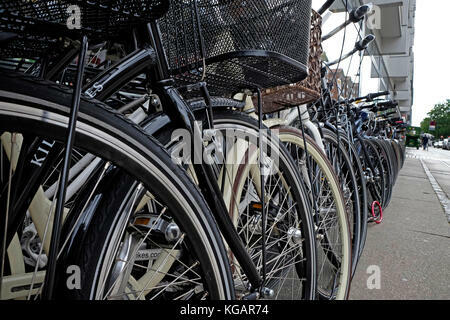 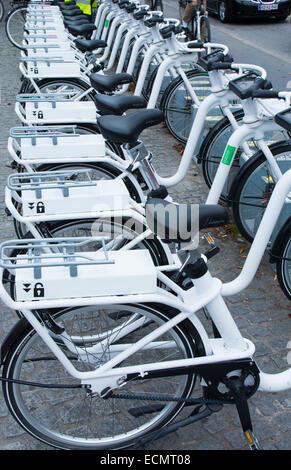 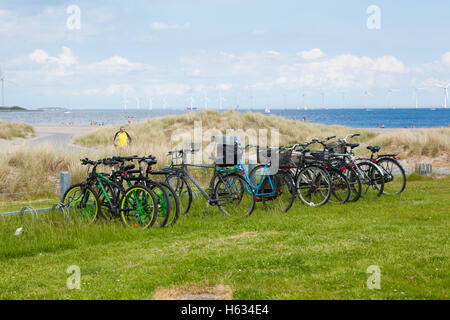 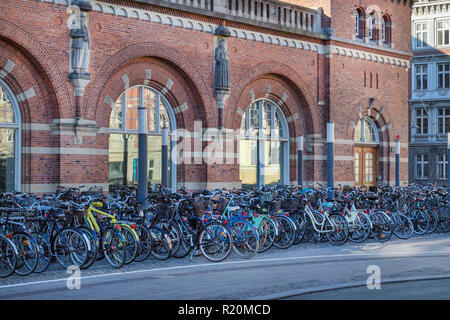 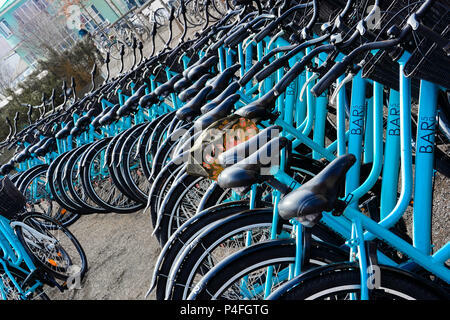 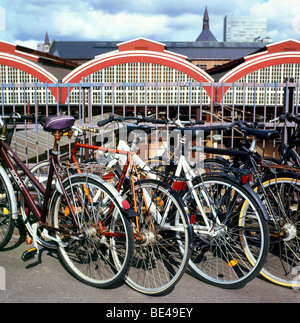 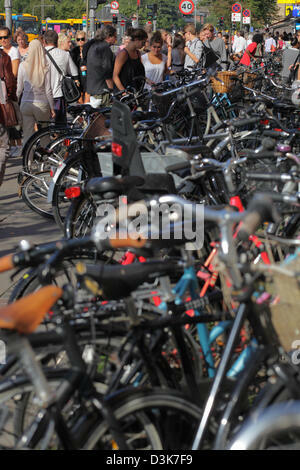 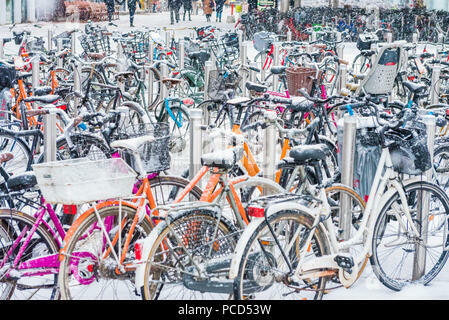 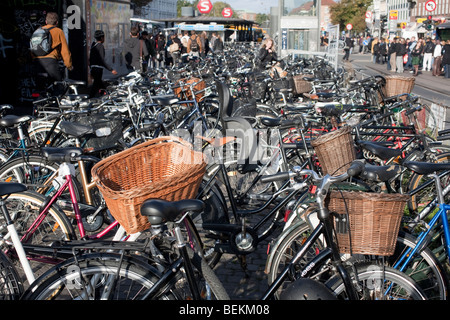 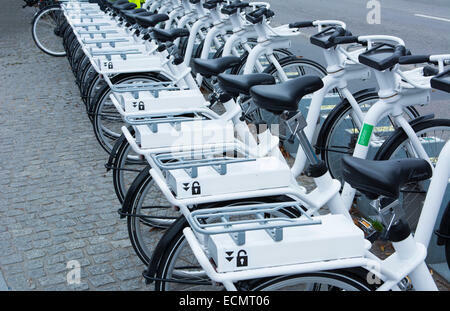 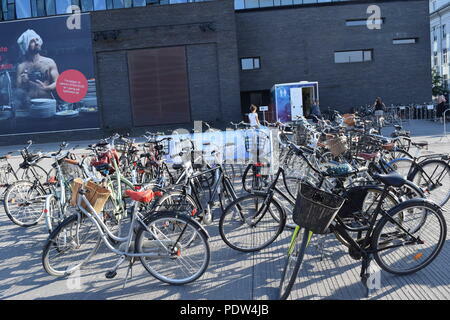 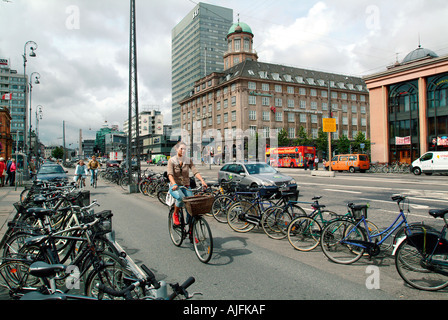 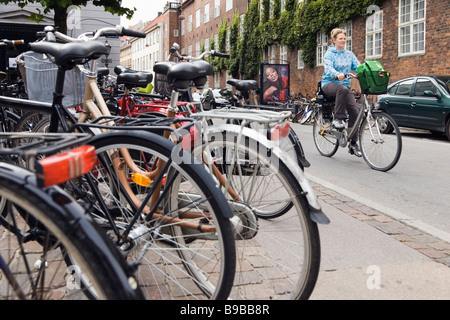 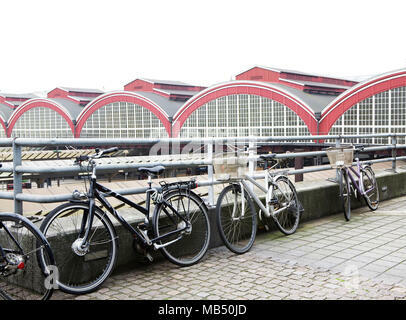 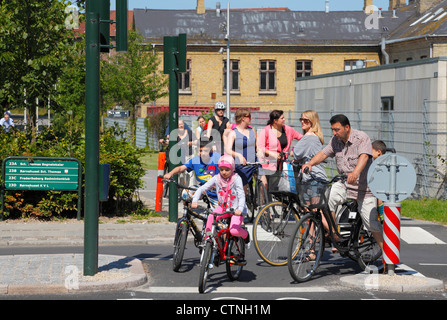 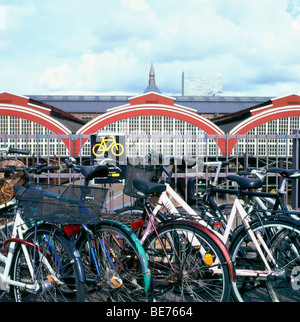 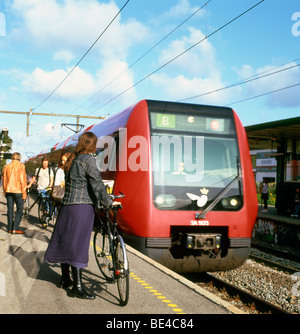 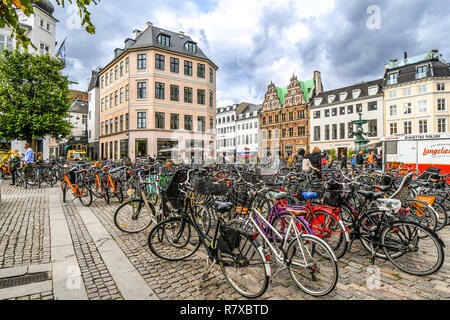 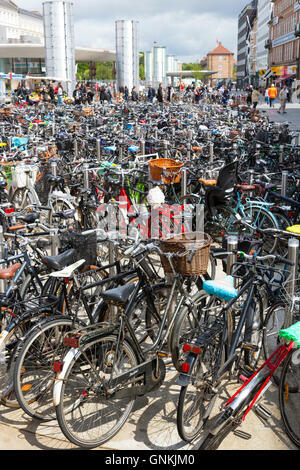 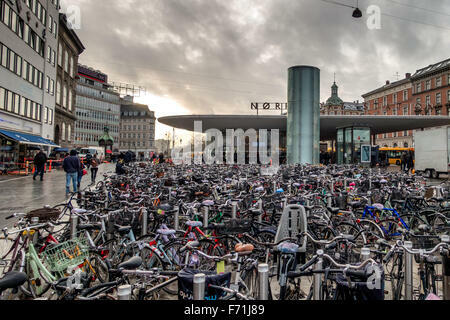 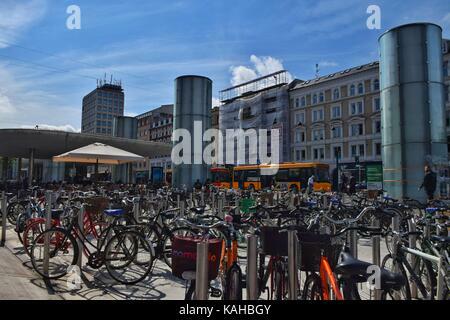 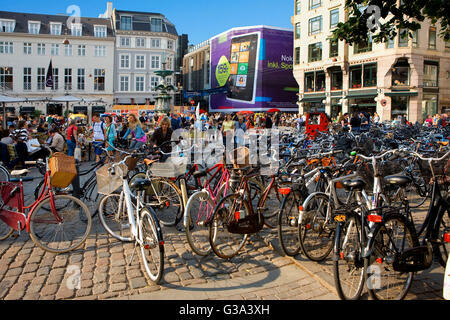 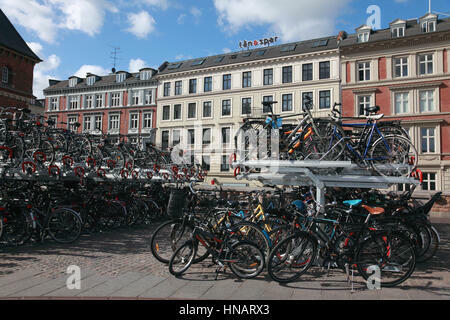 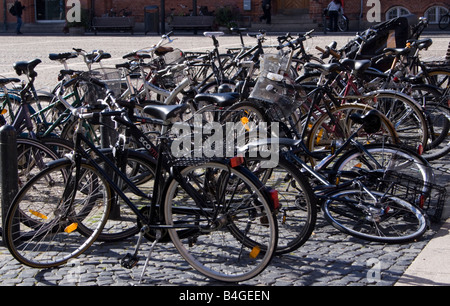 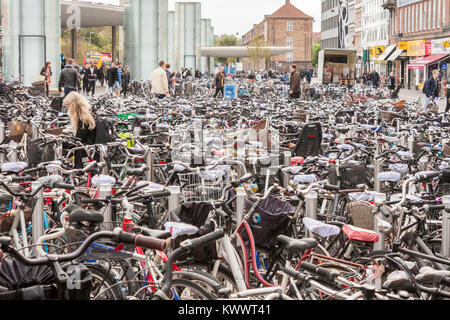 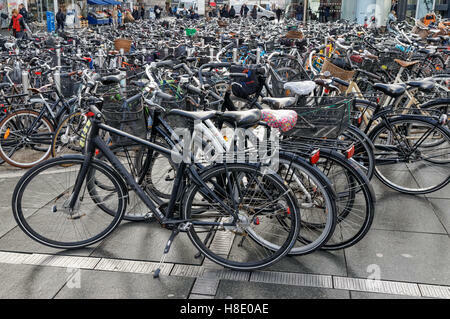 Large number of bicycles parked at Norreport station in Copenhagen. 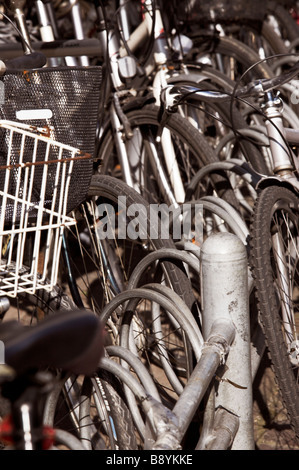 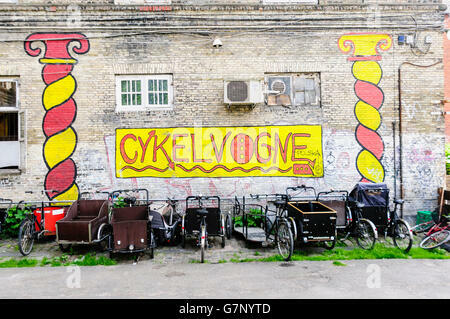 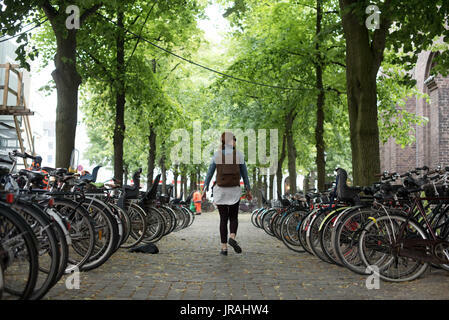 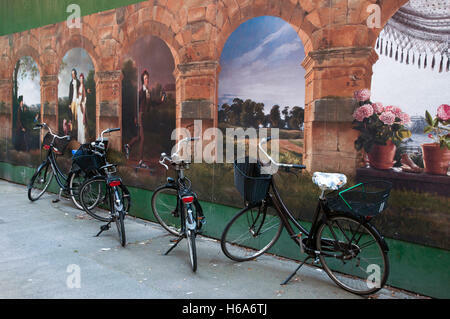 Bicycles parked in a cycle park in Freetown Christiania, Copenhagen. 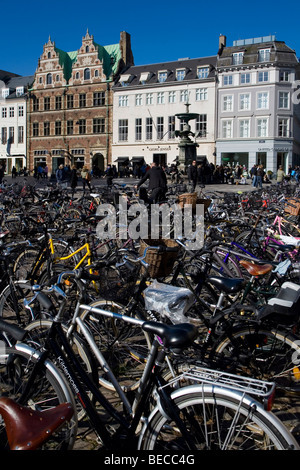 Bicycles parked alongside the Stroget shopping district, the longest pedestrian street in the world, in the historic center of Copenhagen, Denmark. 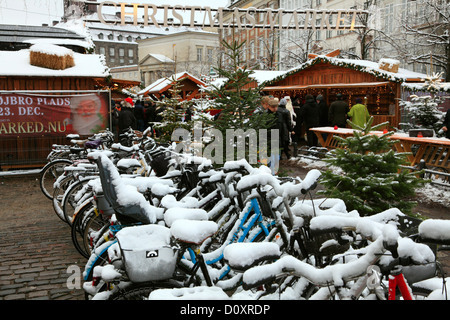 Snow covered bicycles at the Christmas market in Højbro Plads (Hoejbro Square) on Strøget (Stroeget) in Copenhagen, Denmark. 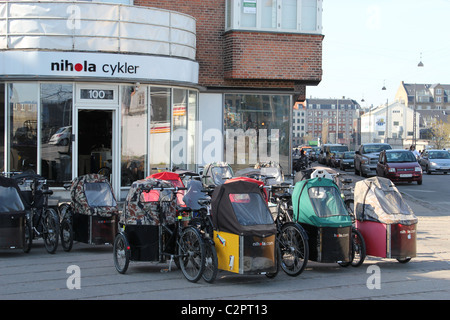 Nihola tricycles on sale front of a shop in Copenhagen. 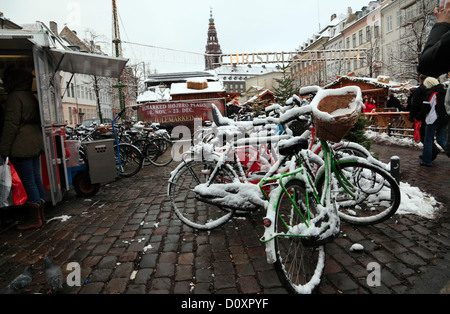 Snow covered bicycles at the Christmas market in Højbro Plads (Hoejbro Square) on Strøget (Stroeget) in Copenhagen, Denmark. 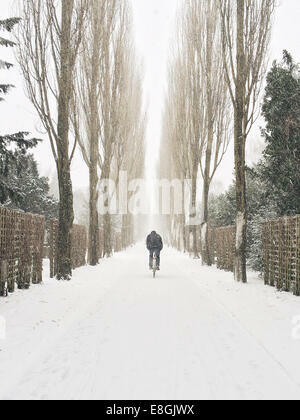 Snow and slush. 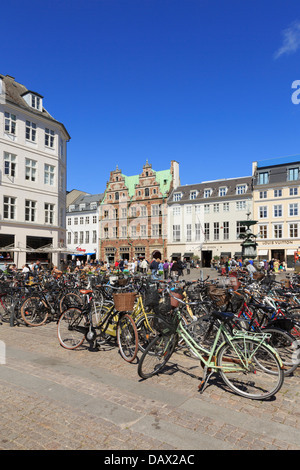 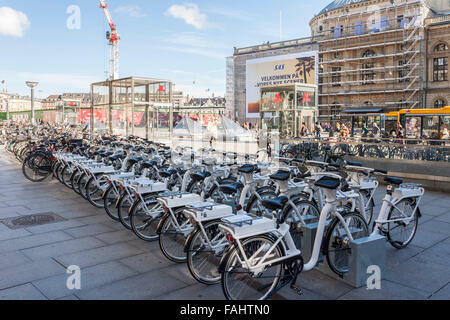 Bicycles parked alongside the Stork Fountain in the Stroget shopping district, the longest pedestrian street in the world, in Copenhagen, Denmark. 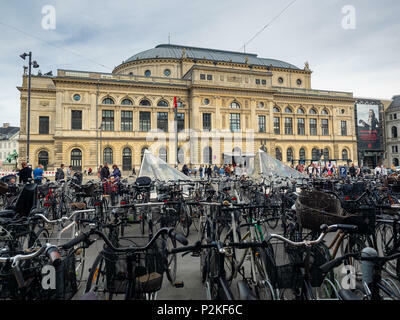 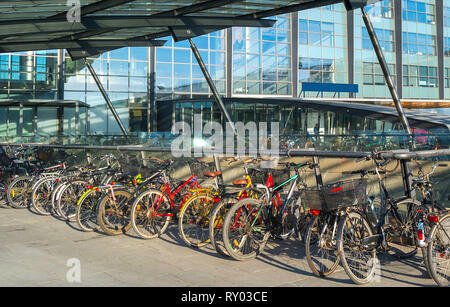 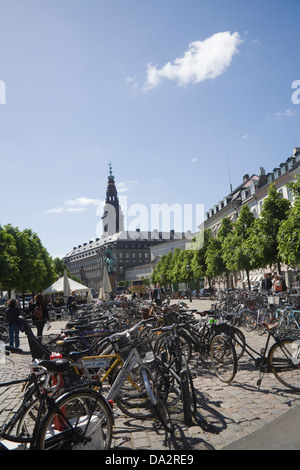 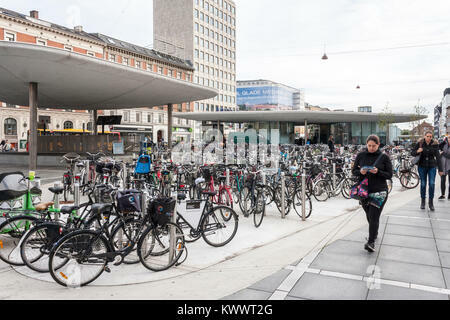 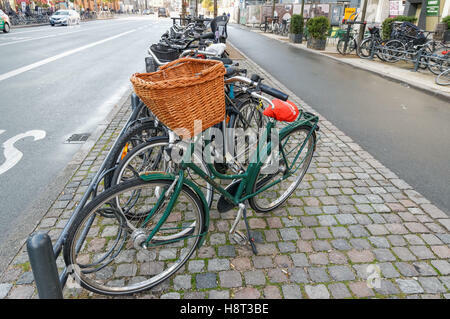 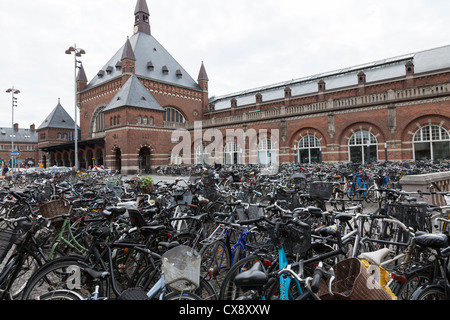 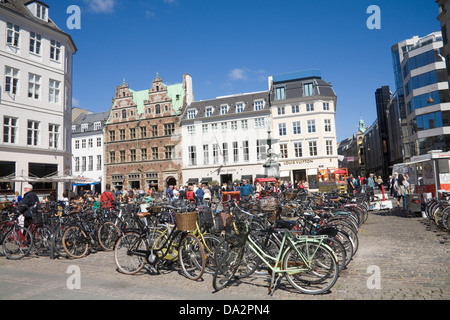 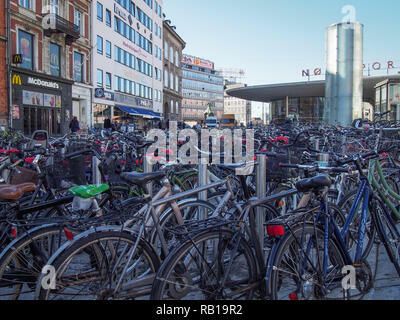 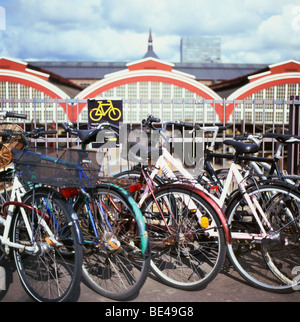 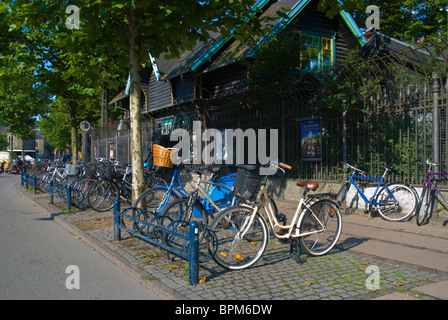 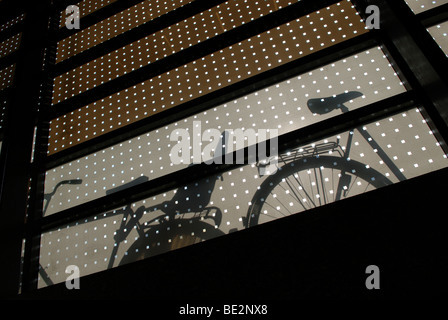 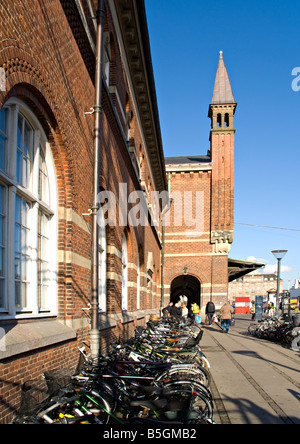 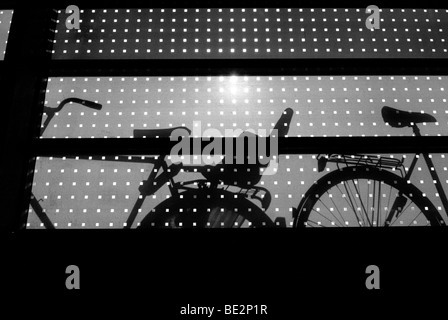 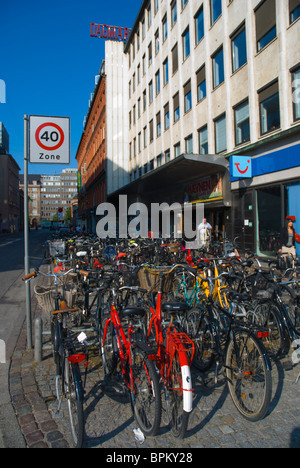 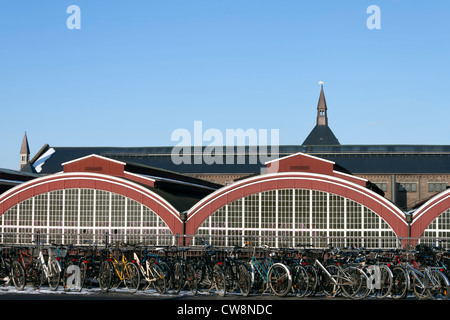 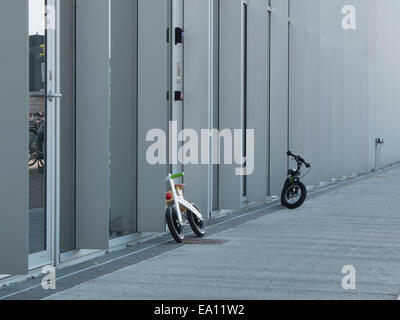 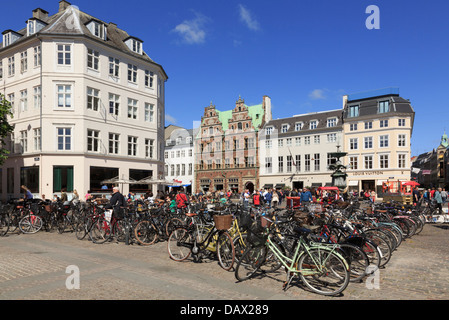 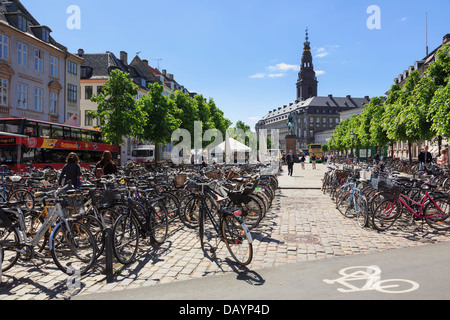 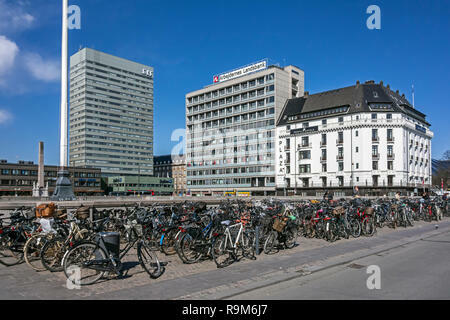 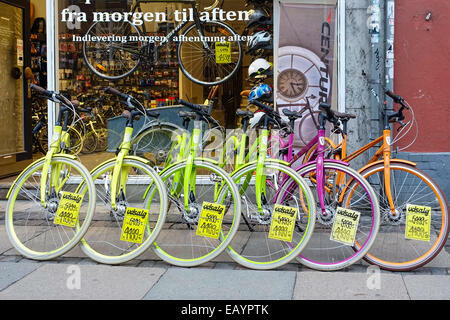 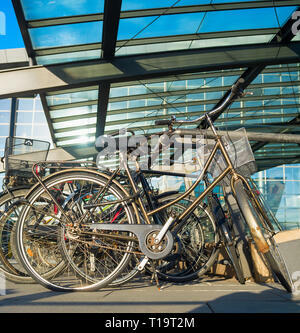 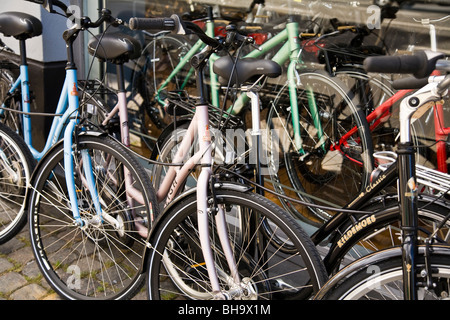 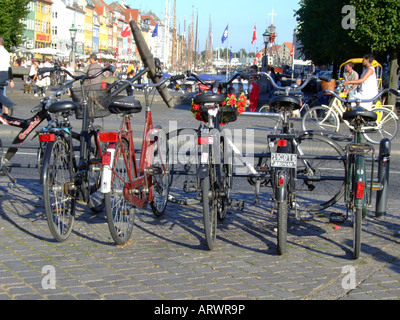 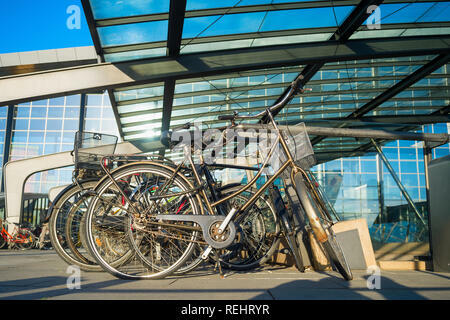 Copenhagen, Denmark - April 30, 2017: Bicycle parking lot with bicycles at the central railway station on a spring sunny morning.